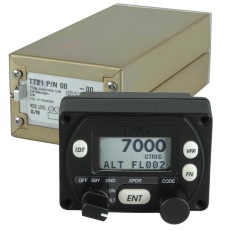 The front panel controller is smaller than a standard instrument, and the remote transponder is not much bigger than a pack of cards. 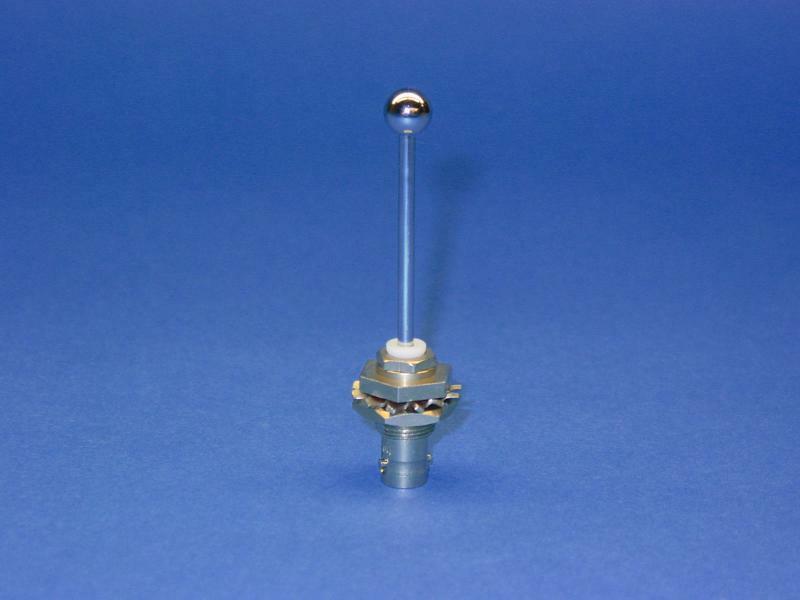 The TT21 can be mounted in a standard 2¼ inch instrument hole, or where space is really tight, in a compact mounting just 42 mm high. A lightweight cable runs from the control panel to the transponder unit which can be mounted anywhere in the aircraft. 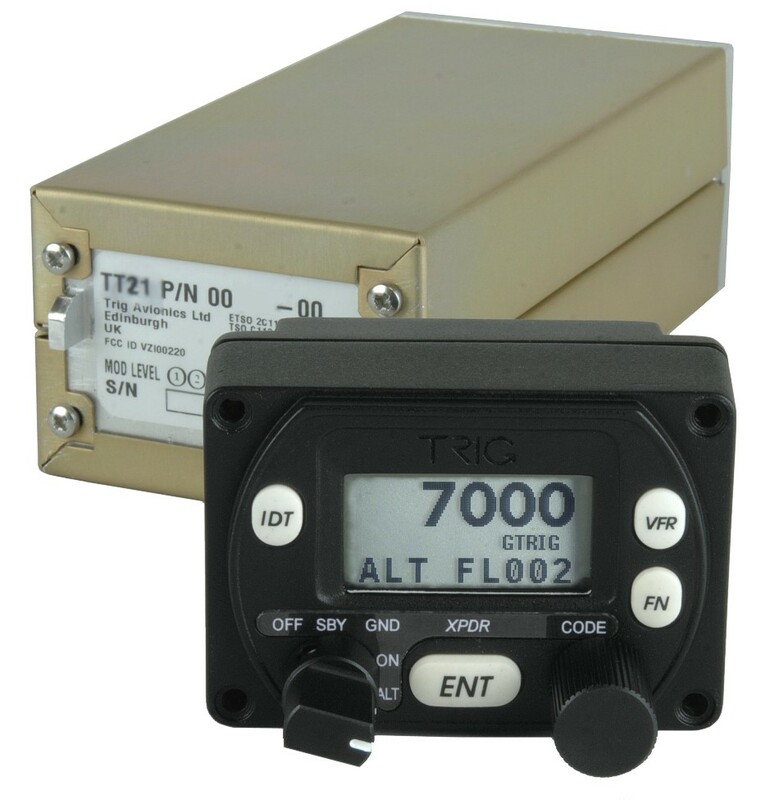 The TT21 can fit into the smallest of aircraft – and yet it is fully certified and compliant with all the transponder requirements. The TRIG TT21 is TSO approved. • low weight - less than 500 grams! The T22 qualifies as a Class 1 transponder, which are used on high-performance aircraft - those cruising faster than 175 knots and operating above 15,000 feet. 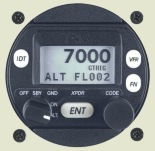 The TT22 is fully certified with EASA ETSO and FAA TSO approval for IFR and VFR flight. The TT22 is a Class 1 transponder; a software upgrade and a connection to an appropriate GPS will make it compliant with the FAA final rule on ADS-B. 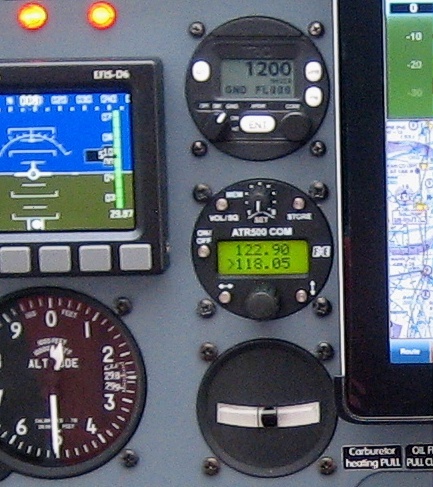 The TT22 is TSO approved for fitting to European and FAA registered aircraft.